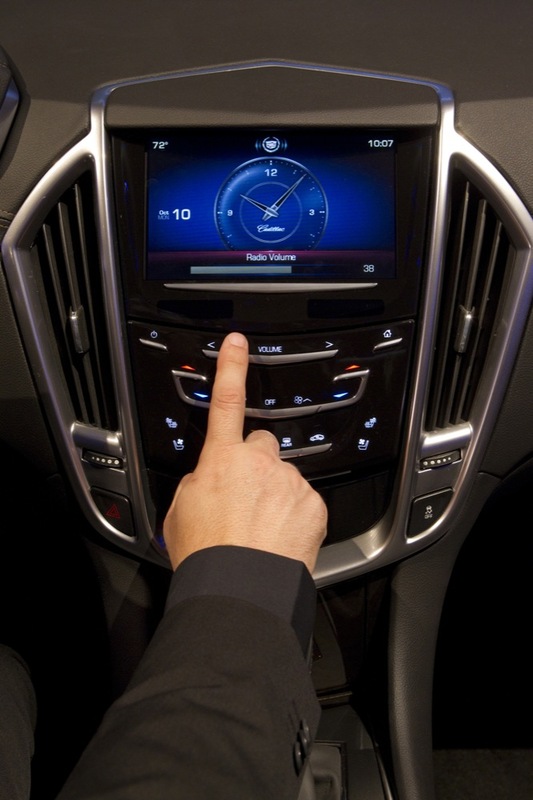 Cadillac has released all of the meat and potatoes about the Cadillac User Experiance (CUE) infotainment system. 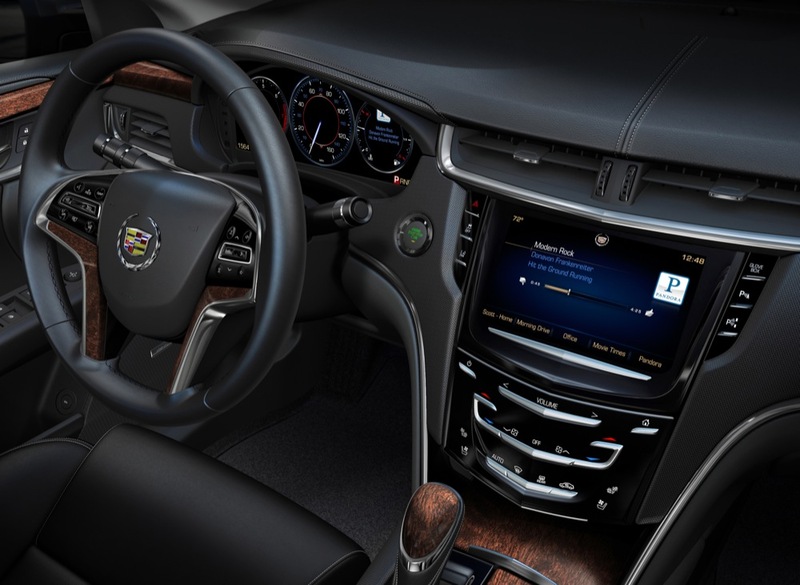 Bound for the ATS, XTS and SRX models, it will hit the market beginning with 2012 model year Caddys and hopes to overstep all other competing infotainment systems in the industry. 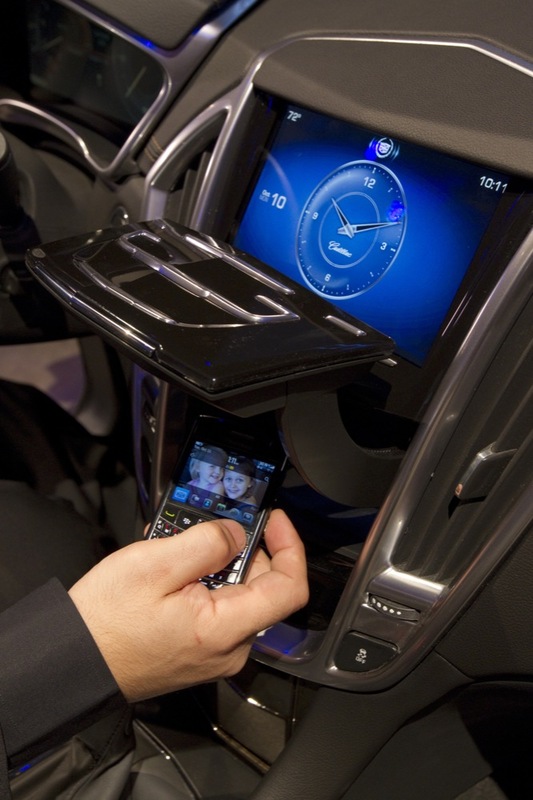 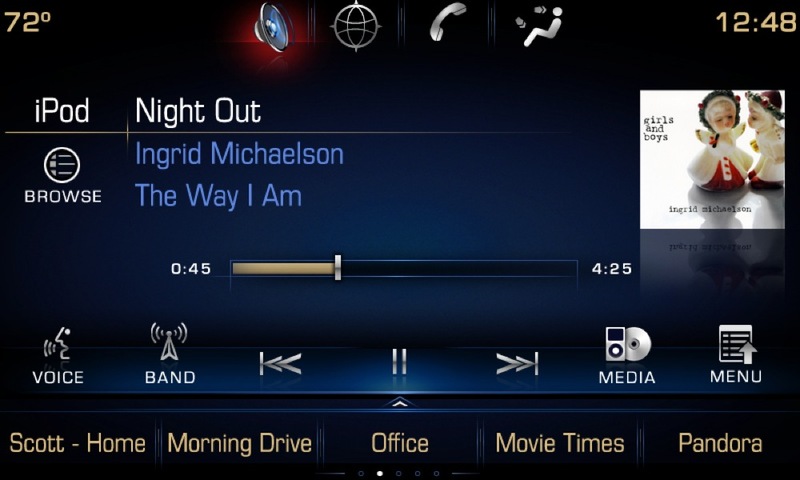 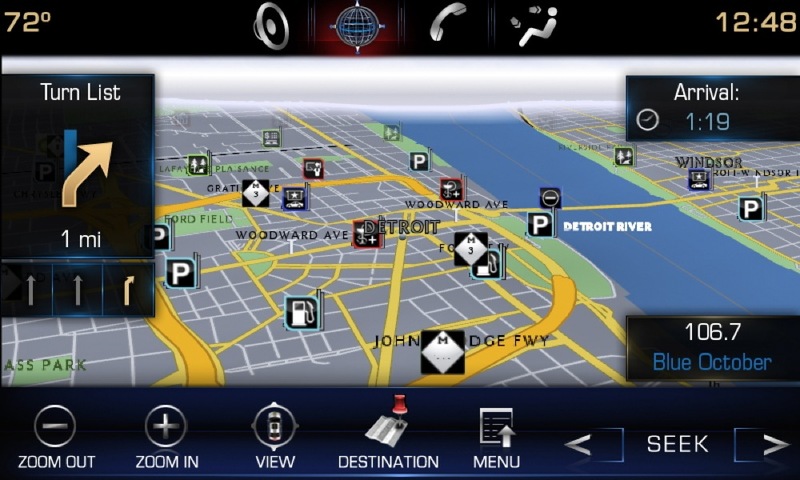 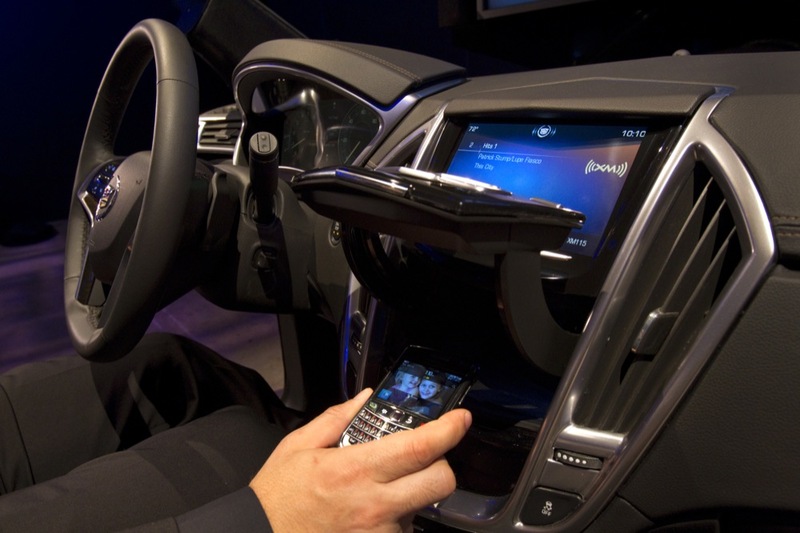 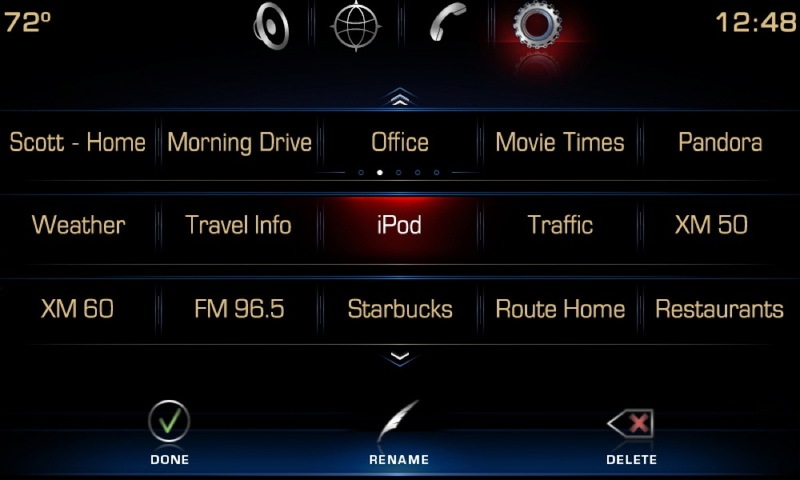 GM Authority was the first to report on the coming of this new infotainment systeem and its name earlier this summer. 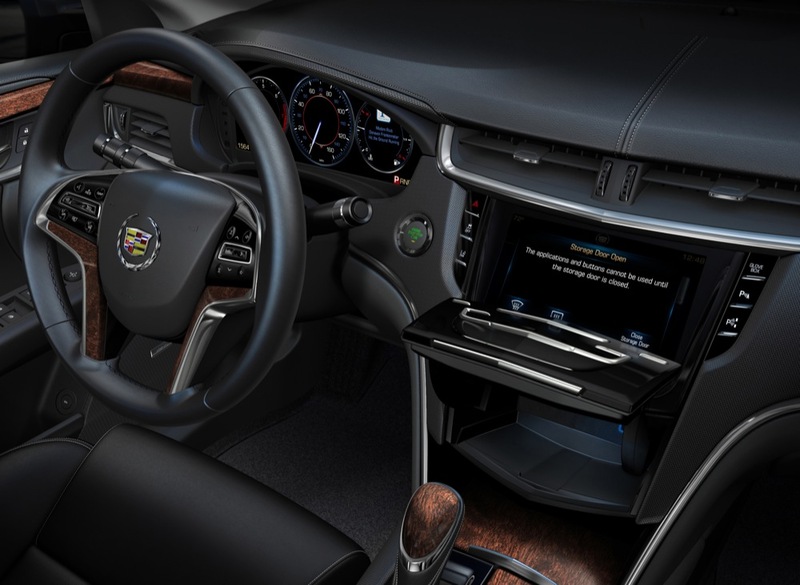 Cadillac CUE will possess the ability to pair and transfer information (data) from up to a combined ten Bluetooth-enabled mobile devices, USB devices, SD cards and MP3 players to the infotainment system. 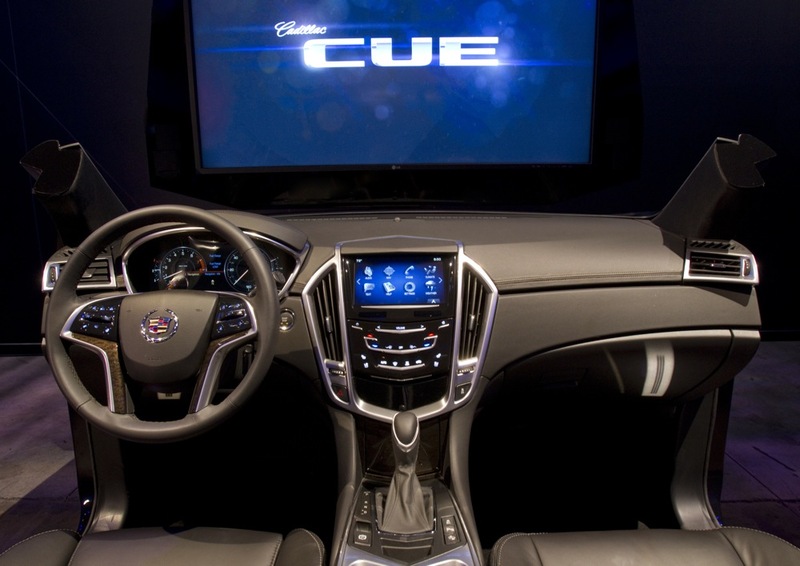 CUE also possesses the capabilities of serving up customized information, natural voice commands, fewer buttons than the competition and easier-to-read large icons emitting from an 8-inch LCD touchscreen. 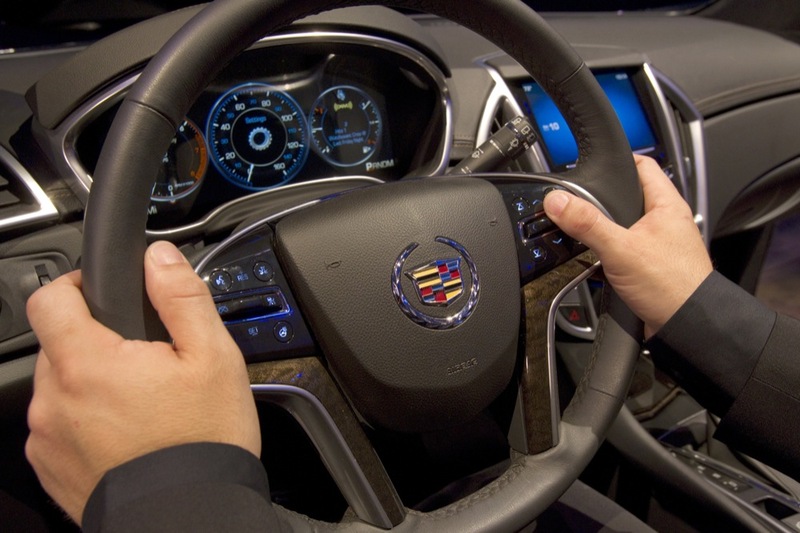 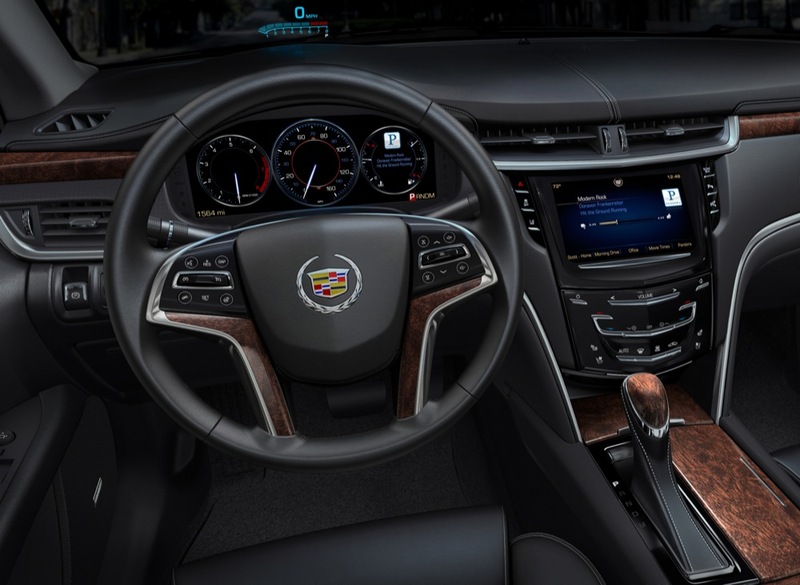 Case in point, CUE utilizes just four main buttons, while Cadillac claims that some competitors need as many as twenty — such a number is not ideal to navigate through while driving. 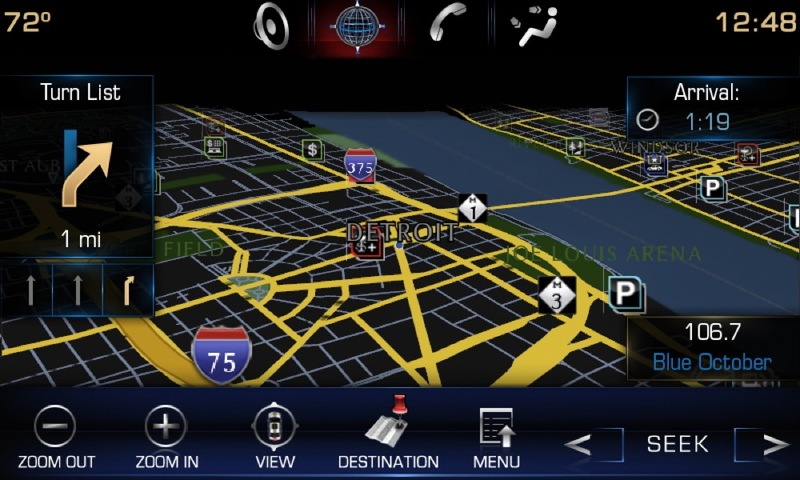 Other features include proximity sensing, a haptic feedback system (something that helps gauge your sense of consciousness by touch), touch sensitive controls, natural speech recognition, a reconfigurable 12.3-inch LCD gauge cluster, and a Linux operating system running on ARM 11 3-core processor, each operating at 400 million of instructions (mips) per second; this furnishes CUE with 3.5 times more processing power than competing systems. 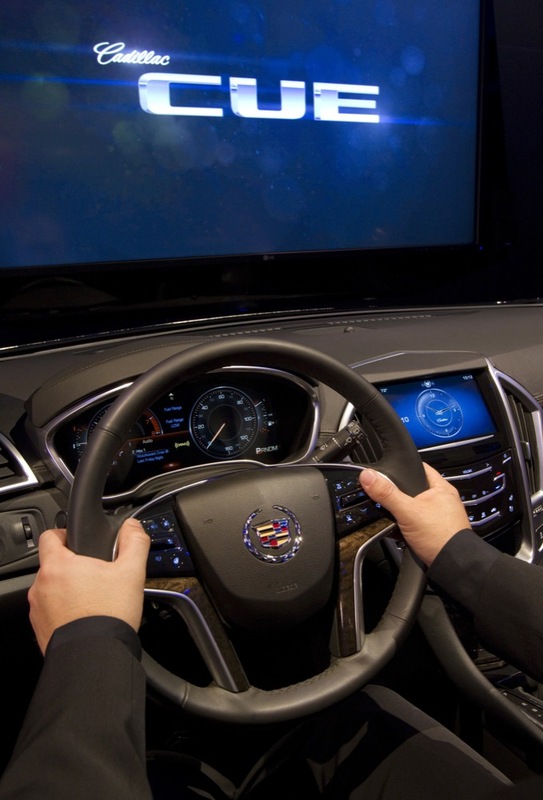 Too add to it all, there’s the expected steering wheel controls, and the added security of OnStar. 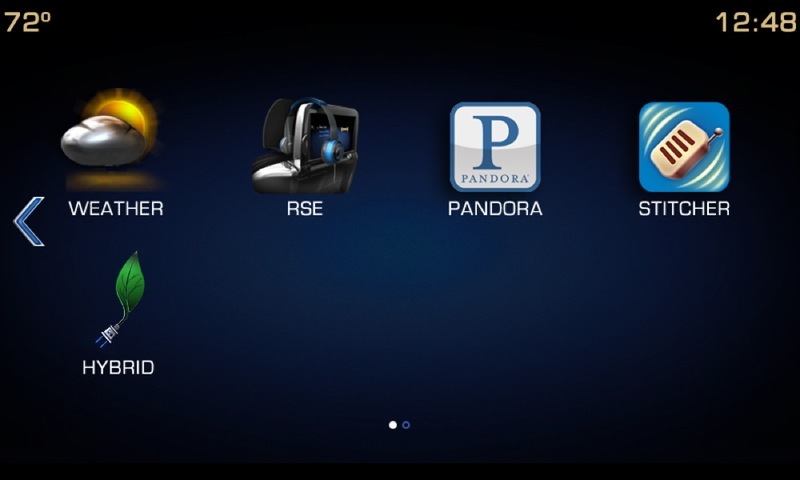 For more details, check out the presser below. 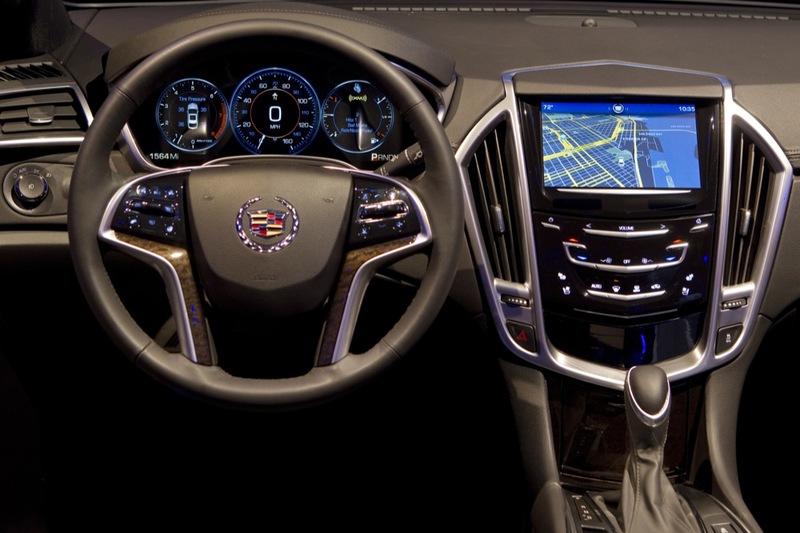 Next story GM To Launch All-Electric Chevrolet Spark In U.S.
Is that the ATS interior? 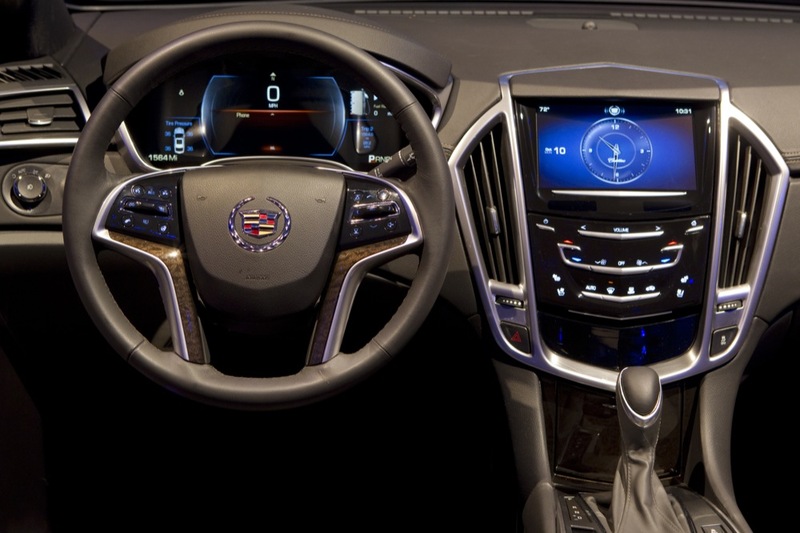 do you no it be nice if gm give the choice to get the system any car they build and truck..